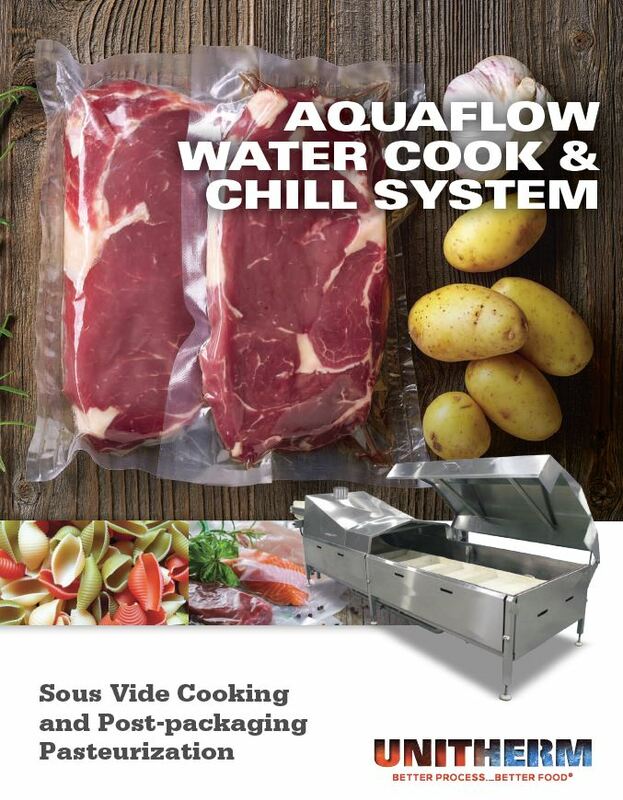 Our versatile, custom-built water cook and chill systems are designed to sous vide cook, blanch, pasteurize, and chill a wide range of production needs. Engineered with food safety, efficiency, and footprint in mind, our Unitherm Aquaflow water cooker is equipped with sufficient water volume, movement, and recirculation. 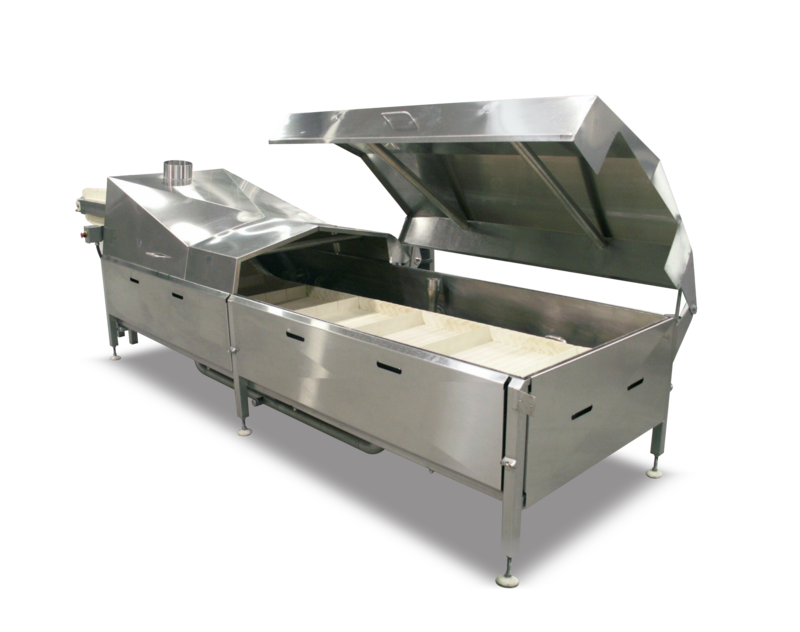 With these three elements at its core, this water cook/chill system is able to control the water temperature across the width of the belt and along the full length of the tanks. Depending on the processor’s needs, these systems can be designed with a custom tank size, including linear or stacked tanks. For searing and color development, use the AquaFlow Water Cooker in conjunction with our Afoheat Flame Grill or Tunnel of Fire™.